Ghana’s Normalisation Committee is leading the reemergence of competitive domestic football, missing from the calendar of most fans for the past seven months. 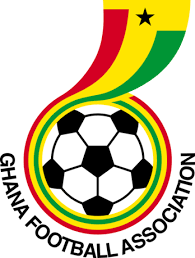 Ghana football experienced a historic tsunami that drowned a number of the football hierarchy and exposed hundreds of compromised match officials. The Government of Ghana and the world governing body, Fifa, resolved the ensuing impasse and appointed a four-member Normalization Committee to restore Ghana football to normalcy, effective September 13, 2018, with a six-month mandate. Following that appointment, the NC consulted with major stakeholders, whose invaluable input has become important resource for the NC to retool towards the finish-line. Finally, a battle between the affected premier and lower-tier clubs and the interim GFA, designed to fund a viable format, has yielded good dividends, aptly named the Normalisation Tournament. It will mark the first time since June last year that the affected clubs, and more importantly, the players, experience the normalcy of competitive football. The tournament involves all Division One and Premier League clubs. Also, a separate competition for the Women’s and Division Two clubs will be organised, later. The initial end-date for the tournament was March 31. However to accommodate all clubs, all parties have agreed it would go beyond that date. The Normalisation Committee has expressed its appreciation to the government for bailing out and financing the competition when it experienced sponsorship difficulties. The NC has noted that the government’s lead in funding the competition opens the doors for other well-meaning sponsors to come on board. The committee expects the new era – while the normalising process continues – would afford all stakeholders the opportunity to commence the process of operationally running the game, differently. It commends the media and all who have stepped forward to offer ideas and helped communicate and educate the public on the magnitude of the critical issues at stake. The NC hopes the entire country shall collectively jubilate, embrace in unity to dance a new and long-lasting Akwaaba song to the rebirth of a healthier Ghana Football Enterprise. It is the expectation of the NC that the new era would result in well-paid players showcasing their dazzling skills to excite the fans that would fill the various stadia on Match Days. Also, the committee anticipates the comprehensive reforms would generate real referees to officiate in the renewed leagues expected to attract sponsors in their numbers. In turn, the NC expects the various leagues to not only turn out big profit-margins but also produce stars to reinforce all our national teams, culminating in the Black Stars eventually winning the World Cup! Welcome to the bright future of Ghana football.